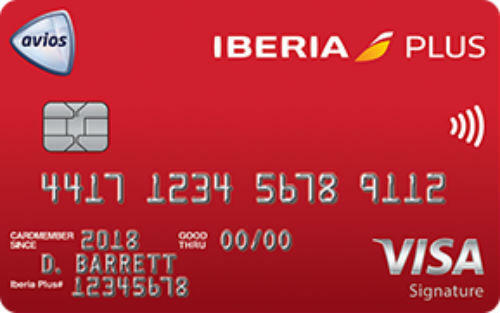 Iberia Visa Signature Card Worth It? 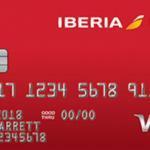 You can earn 100000 bonus avios with Iberia Visa Signature® Card in a year. 3x avios on purchases from Iberia, British Airways and Aer Lingus. It is good if you are purchasing from oneworld group airlines. You can redeem your points for multiple airlines. 1x avios rate for other purchases is low. Balance transfer, cash advance, purchase APR is high. Balance transfer fee and cash advance fee are high. Iberia Visa Signature Card has same features with sisters: Aer Lingus Visa and British Airways Visa. These three cards are already sharing same rewards points and bonus points structure. What we are telling this card won’t be different than other cards that we introduce on Credit Cards Center. You will have a chance to earn 100000 avios points with this card. Please see the rates table below to get more information on this. You can redeem these points for all oneworld airlines. There is also 3x avios on purchases from Aer Lingus, Iberia and British Airways. It worth it if you travel abroad very often and if you purchase from those three airlines we counted above. You can redeem all these points on airlines which are members of oneworld group. The card is providing 1x avios for other purchases. If you are not travelling very often, this won’t be beneficial for you to spend with this card. You can see rates of Iberia Visa Signature® Card below. 17.99% – 24.99% 3x avios when you purchase from Iberia, British Airways and Aer Lingus. 1x avios for rest of purchases. 100000 bonus avios opportunity in first year. You can read user reviews below. You can also add your own thoughts about the card.